Welcome to Kansas City's Best Ford Dealer's Blog! The Model T is 100 years old. This was quite possibly the greatest leap in manufacturing and changed the way the world functioned. The Model T brought the car from the rich to the people. As Henry Ford said, "You can get it in any color you want as long as it's black. 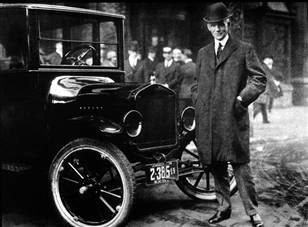 Happy Birthday to the Model T!